The XXL Game Boy #piday #raspberrypi @Raspberry_Pi « Adafruit Industries – Makers, hackers, artists, designers and engineers! Earlier this year, reader Ilhan Ünal got started building his own Game Boy, which he only recently completed. It’s…a little bigger than Nintendo’s original version. Named the Game Boy XXL, Ünal’s handheld is more of a deskheld. 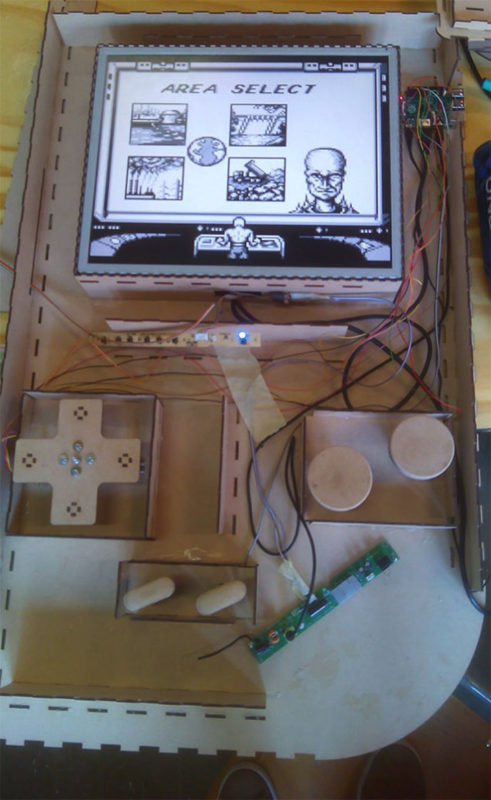 It’s running off a Raspberry Pi, with an old 19” computer monitor acting as the screen, and was built with laser-cut MDF (Medium-density fibreboard).